Each technology platform in the online display advertising industry has it’s own role to play. Demand-side platforms (DSPs) allow advertisers to reach their target audience on an impression level, ad exchanges mitigate the real-time bidding process, and supply-side platforms (SSPs) enable publishers to increase and optimize their ad revenue. There is, however, one platform that can connect them all – the “brains” behind the data-driven environment of today’s digital world. Unfortunately, the true potential of DMPs can sometimes be underestimated. 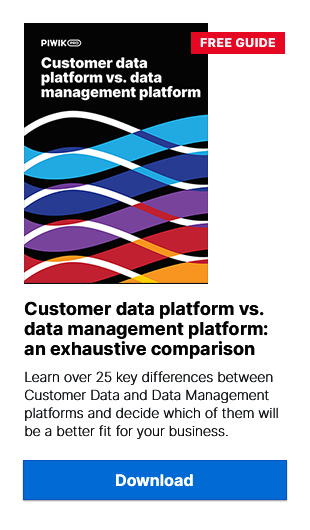 While DMPs manage data (as their name suggests), a smart user will want to know how to unlock their true potential. Utilizing a data management platform for media buying was one of the first main use cases when DMPs first appeared on the scene back in the late 2000’s. Fast forward a few years and it is still one of the main reasons why companies use a DMP – except that now a DMP can offer so much more now than it did 5-6 years ago. This is one of the most primary functions of a DMP with regard to media buying. The process involves a brand (i.e. an advertiser) creating audience segments from the data they have in their DMP. The e-commerce store could then export that audience to a media-buying platform (e.g. an RTB ad exchange) and use it to bid on available media. Then if the ad exchange was selling an impression to be shown to a 35 year old male from New York, who regularly searches for football-related topics, the e-commerce store could bid on this impression and display an ad selling football equipment. It’s worth noting that creating and exporting segments to media-buying platforms not only helps advertisers better target their desired audience, it also helps them to bid more accurately. So in this case, the e-commerce store would have placed a higher bid than it would have if the user was a teenage girl from Washington. What if you could find more of your target audience without having to collect more email addresses? Well, that’s where look-alike modeling comes in. Put simply, look-alike modeling involves finding people that display similar behavior and qualities as your desired audience – i.e. your most profitable audience. A DMP can help you gather information about audience behaviour (by way of a tracking pixel fired after a conversion on your website, for instance) and identify the behavioural attributes that are most common among persons who convert. With these insights, a media-buyer can then match his or her segments against publisher audience data on ad exchanges or from a supply-side platform (SSP) – expanding them for greater reach or refining them for greater lift. With smart retargeting ad campaigns, a DMP can help users make ad buys through a DSP based on one previous interaction – a product search, an ad click-through, etc. But more than that, a DMP can make retargeting truly intelligent. This means serving the retargeting ads on the device a user is most likely to use, matching contextual information and other things – all with a chance to make the one little bit of difference leading to a conversion. Analytics has long been the backbone of the technology used for optimizing websites and improving marketing & and advertising campaigns. Without it, those operating in the internet would be totally blind and a great many of the tools that advertisers and marketers use would lose their effectiveness. A DMP can be a highly-effective tool in all of these areas. Combining a large amount data – both online and offline – offers the possibility to create deeper insights into audience behaviour and preferences. That same data – when collected and aggregated from across several channels and devices can give clearer picture of the buyer journey and help improve the calculations of multi-channel and multi-device attribution. Even if a customer first comes in touch with a brand on a mobile phone, searches for information on his laptop and makes his final purchase after seeing a second ad in a mobile browser, a DMP can help marketers track these touch-points and understand which ones were most valuable. Because a DMP can dynamically update and segment audiences, it allows users to quickly identify and track trends as they occur. This capacity for dealing with “live segments” (i.e. those which are automatically enriched with new data as it is collected) is not available in all DMPs on the market today, but those which do offer it, give their users a leg up on detecting and taking advantage of the latest trends amongst their (potential) customers. Publishers also benefit greatly from using a DMP for analytics. By enriching their requests to supply-side platforms (SSPs) to include more detailed information about site visitors they can command higher prices from interested demand-side parties for their inventory. Everyone likes to be remembered. Even if we don’t admit it sometimes, we like it when people show a personal interest in us and who we are. This principle works in advertising as well. Which is why one-to-one marketing is becoming a hotter and hotter topic. But to accomplish this, there has to be the possibility to deliver personalized messages and drive personalized engagement. Getting down and dirty with your data – while difficult – can yield great opportunities to “meet” site visitors and make them happy. How do you do it? Personalized content can come both in the form of ads – served on third party sites. In this case, the rich audience segments and deep analysis of the DMP works very similarly as in the case of retargeting campaigns. But content personalization can also work internally. This means that an e-commerce store, a bank or even a governmental institution can use a DMP to understand the needs and preferences of its site visitors and then make their experience better by giving quicker access to preferred information, add promotions on frequently purchased items or services that a customer might be in need of. The end result is a much better user experience and ultimately a much happier visitor!